Rantala, Heidi Marie. “Glacial Legacy Effects On Tundra Stream Processes And Macroinvertebrate Communities, North Slope, Alaska”. Biological Sciences. Biological Sciences. University of Alabama, 2009. https://ir.ua.edu/handle/123456789/556 . Parker, Stephanie M, and A. D Huryn. 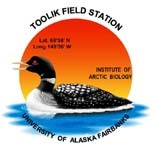 “Food Web Structure And Function In Two Arctic Streams With Contrasting Disturbance Regimes”. Freshwater Biology 51, no. 7. Freshwater Biology (2006): 1249-1263. doi:10.1111/j.1365-2427.2006.01567.x.